The State Board of Regents approved a new bachelor’s degree in anthropology for Southern Utah University. The University will begin to offer the new major beginning Fall 2015. The anthropology major will focus on immersing students in the four subfields of the discipline: archaeology, biological anthropology, cultural anthropology and anthropological linguistics. The program will allow students the opportunity to craft experiences in one the discipline’s subfields. Anthropology at SUU first started as a minor in Fall 2010. Since it’s inaugural start, students minoring in the field increased and anthropology classes reached capacity, this demand for the major has been seen throughout the nation and SUU is listening. The U.S. Department of Labor confirms that anthropology is one of the most in demand academic disciplines nationwide saying it is projected to have a 19 percent increase in job market from 2012-2022. Dean said students who graduate with an anthropology degree can work for archaeological contract firms, local historical societies or even for state and federal institutions like the National Park Service, Utah Department of Transportation, Bureau of Land Management or the US Forest Service. 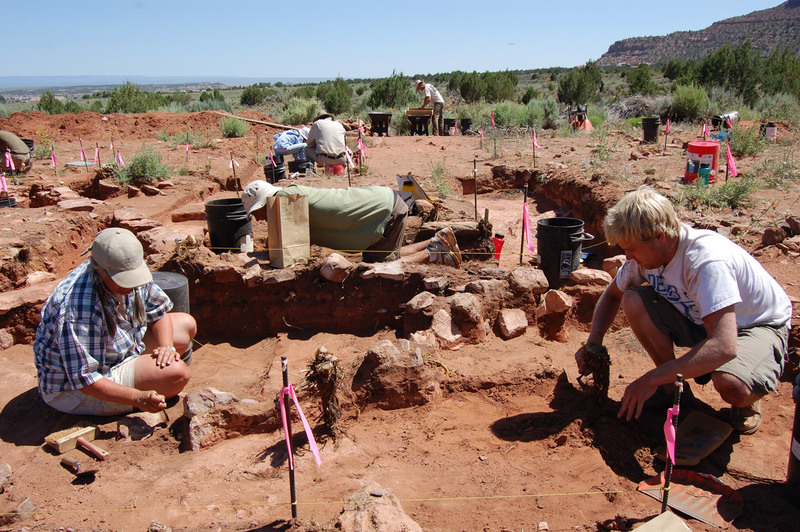 Photo Credit: Emily Dean, SUU students at the anthropology summer field camp located in Kanab.